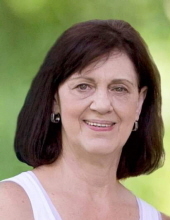 EDGERTON--- Susan ”Susie” Marie Newcomb, age 72, of Edgerton, passed away peacefully at home on Thursday, March 21, 2019, following a courageous battle with cancer. She was born in Dorchester, WI the daughter of LeRoy and Edith (Amo) Engel. Susie moved to Edgerton in 1972. She was a beautician by trade where she had owned and operated her own beauty shop, but had also worked for Dana Corporation and Tibbies. She married James F. Newcomb on October 28, 2011, in Edgerton. She was a member of St. Joseph Catholic Church. Susie’s greatest love was her grandchildren and she also enjoyed knitting, sewing and working in the garden. A Mass of Christian Burial will be held at 10:30 a.m. on Thursday, March 28, 2019, at ST. JOSEPH CATHOLIC CHURCH, Edgerton with Fr. Dave Timmerman celebrating. Visitation will take place on Wednesday, March 27, 2019, from 4:00 p.m. until 7:00 p.m. at APFEL EHLERT FUNERAL HOME & CREMATION SERVICE, 315 Lord St. (Hwy 51) Edgerton and again on Thursday from 9:30 a.m. until the time of Mass at the church. Memorials may be made in Susie’s name to Agrace Hospice Care, 2901 N. Wright Rd. Janesville, WI 53546. To send flowers or a remembrance gift to the family of Susan Marie Newcomb, please visit our Tribute Store. An additional visitation will be held on Thursday at St. Joseph Catholic Church from 9:30 a.m. until the hour of Mass. "Email Address" would like to share the life celebration of Susan Marie Newcomb. Click on the "link" to go to share a favorite memory or leave a condolence message for the family.